Celebrating Thanksgiving is a big fun for many families. With all the nice food, family time and a warm environment, we all want our homes to look inviting. 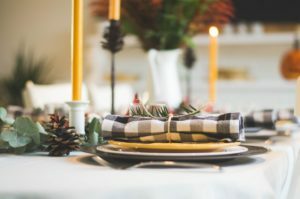 Whether you plan to spend Thanksgiving dinner with your friends or family members, there are some affordable ways of making your home look nicer. Here are some of the cheap and easy ideas you can use to decorate your home for Thanksgiving. Thanksgiving represents the beginning of the winter holiday season. With all the work, family obligations and year-long stress, it’s always good to spend more time with your loved ones in a nice, cozy home. 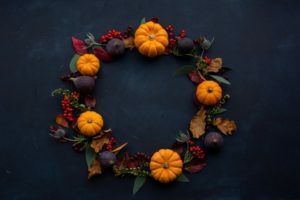 Since the winter is approaching and the fall keeps amazing us with its colors, why not use some free time to decorate your home for Thanksgiving? While preparing your home for the upcoming winter, you might want to warm the atmosphere with some decoration. You might think it takes a lot of money and resources to do so, but that’s not true. With some imagination and skills, you can decorate your home for Thanksgiving like a professional designer. 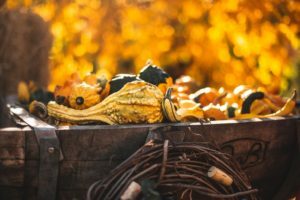 Since the winter is approaching and the fall keeps amazing us with its colors, why not use some free time to decorate your home for Thanksgiving? When it comes to Thanksgiving decoration, there are so many colors, themes, and materials we can think of. What this holiday is all about is being thankful and grateful for everything good in our lives. And that’s exactly what you should be going for when decorating your home. If you are living in a house, you can use the beauty of the surroundings as an inspiration. All the yellow, red, orange and brown colors around would be a perfect combo for home decoration. In order to decorate your home for Thanksgiving, you don’t have to be a professional designer. Moreover, what you should do is engage the entire family into the decoration process. With so many Thanksgiving celebration ideas, your family will enjoy the time you spend decorating your home. If you have children, the decoration itself will be the most fun part of the holiday! Not to mention that everything turkey-related will be fun to play with. Instead of expensive lamps, refresh your home with a few scented candles. Think of anything that can represent a “thank you” sign. You can carve small thank you notes into wooden boards or let your children draw a Thanksgiving card. Use the colors of the dried leaves. The fallen leaves can be used in so many different shapes. You can decorate a door frame, your fireplace or even a dining table with dried leaves and flowers. Use the materials you already have at home. With children playing around, why not use some old carton paper and carve turkey-shaped decorations? One of the easiest ways of doing so is making a pattern of a child’s hand and coloring it so it resembles a turkey. How to save money when decorating your home for holidays? It’s surprising how many decorations you can make with pumpkins and dry leaves. Choose recyclable materials to make decoration and gifts for your loved ones. If you are buying decoration, choose the pieces you can reuse next year. Use the remaining dry foods to fill jars and boxes. It’s surprising how many decorations you can make with beans, rice, and dry leaves. In case you are moving to your new home during the holiday season, we hope that you’ll have enough time to prepare. Before you decorate your home for Thanksgiving, you should make it move-in ready. First of all, you should take care of your belongings, sort them out and calculate your inventory. With the holiday season approaching, you wouldn’t want to overcrowd your new home with items you don’t need. Before the moving day comes, you should consider hiring a professional moving company. When moving your home during the holiday season, it’s easier to hire residential moving companies NYC and let them do all the hard work. After all, why would you lift and carry heavy moving boxes when you can spend the time relaxing with your family? When it comes to decorating your home for the upcoming holidays, you should have this in mind while packing for a move. If you have some art pieces you can use for decoration, make sure to pack them the secure way. Moving artwork from one home to another should be a job for fine arts movers NYC. In case you don’t have the right packing materials or your art pieces are too bulky, ask a professional moving company to help. In the end, you there will always be other things to handle and organize. When it comes to packing for a move, a good moving assistance will be there to save your valuable time. In order to decorate your home for Thanksgiving, you don’t have to spend a lot of money and time. All you have to do is gather your family members and make the decoration a fun activity for the entire family. With some inspiration and skills, everyone can enjoy the warm look of their home during the holiday season!